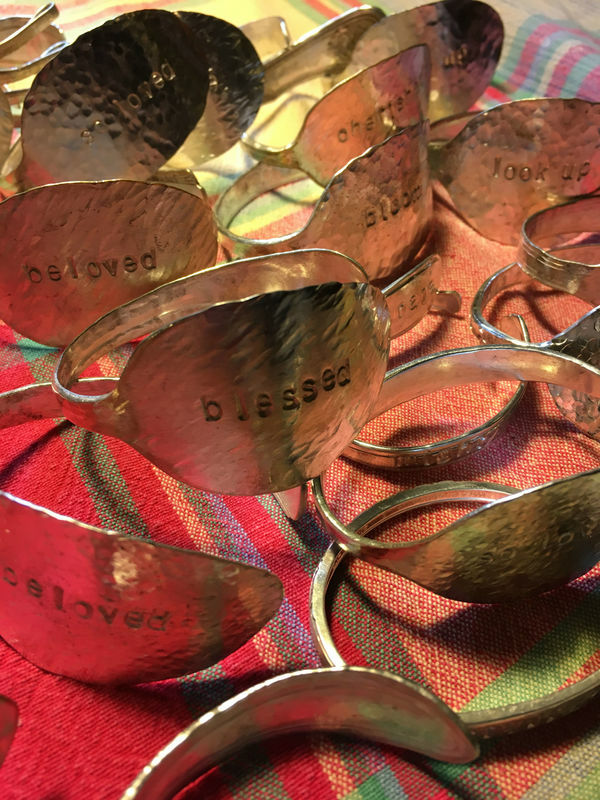 Bespoke Studio creates unique bracelets, pendants, and earrings, each piece hammer-crafted and anvil-shaped from antique silverplate, stamped with powerful words, prayers, and personal messages. Most of the spoons and forks and butter knives I use are over a century old. There is unknowable history in every piece. ​Hammered in rage, stamped in love.